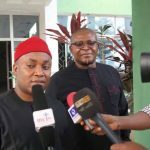 (AFRICAN EXAMINER) – The ongoing crisis rocking the apex Igbo socio cultural body, Ohanaeze Ndigbo has taken a new twist, as its youth wing announced three names shortlisted for possible replacement of the embattled President-General of the organization, Chief Nnia Nwodo. Recall that the Igbo umbrella Ohanaeze had been enmeshed in a leadership crisis for some time now, a development that had snowballed into a reported suspension of Nwodo, a claim he denied. The youths of the body, operating under the banner of Ohaneze Youth wing (OYW), in a statement made available to African Examiner in Enugu, disclosed that three persons have now been shortlisted for Nwodo’s replacement. It said all the three aspirants are from Enugu State, same as Nwodo, because of the fact that the position of the President-General was zoned to the State. The statement which was signed by president of OYW, Mazi Okechukwu Isiguzoro, Mazi Okwu Nnabuike, Secretary General, and Comrade Achuonye Obinna, Vice President, added that the decision was an aftermath of a meeting held by Igbo leaders on Sunday in Enugu. “We the members of Ohanaeze Youth Wing, OYW, having been part of the interactive meeting of some respectable Igbo elders, leaders of thought, captains of industries and intelligentsias held today, at Enugu, as earlier-on scheduled with sole agenda ‘SAVE OHANAEZE NDIGBO’, were mandated to brief the public on the outcome. “And without equivocation accepted that it is an Igbo cultural duty to not only salvage Ohanaeze Ndigbo but re-strategize and reposition Ohanaeze Ndigbo in the spirit of nationalism championed by the likes of Pa. Nnamdi Azikiwes, M. I. Okparas, Eze Akanu Ibiams, Dim Chukwuemeka Ojukwus, and the likes of distinguished Ohanaeze Ndigbo leaders- Justice Ozobus, Prof Ben Nwabueze, Chief Mbazuluike Amaechis, Dr. Dozie Ikedifes, Chief Ralph Obiohas, et al. “The Ohanaeze Ndigbo Enugu parley also bemoaned the present Ohanaeze Ndigbo leadership led by Nnia Nwodo, observing that it was because of its political ineptitudes that the Igbo are currently missing in the political leadership and radar of Nigerian politics and thereby, agreed to not only sanitize it but constitute a National Steering Committee for Ohanaeze Ndigbo, to be constituted before the end of the week. “Three persons already shortlisted for Nnia Nwodo’s replacement: Prince Richard Ozobu, Sir OAU Onyema and Prof Eche Ugwu. “They are verily tested products of tradition. And by Wednesday 18th April 2018, one of them will emerge as President General. 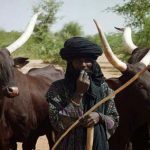 “Ohanaeze expanded Igbo leaders Enugu parley also directed that Chief Nnia Nwodo should honourably resign from Ohanaeze Ndigbo presidency for easy change of guards in Ohanaeze since he has failed woefully or will be forcefully ejected through legal means. 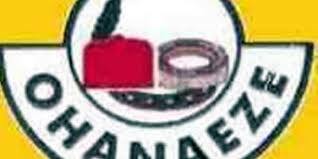 “Other agreements reached include vote of confidence passed on the leadership of the Ohanaeze Youth and Women wings, respectively, led by Mazi Okechukwu Isiguzoro and Chief Calista Adimachukwu and condemnation of Nwodo’s kangaroo elections, since there are no leadership vacuum in both wings of the Ohanaeze Ndigbo. 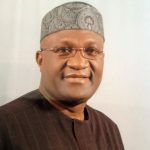 “We are aware of Nwodo’s visit to Awka Government house on a demand for the government to give him candidate for Ohanaeze Youth president and the monies that exchanged hands. “There is also an order for Nwodo to stop playing politics with Biafra and her heroes and martyrs since he cannot ‘kill with the spirits by the night and come to funeral with the humans by the day’. His playing to the gallery speeches at Col. Joe Achizia’s recent funeral was antithetical to his anti-Biafra agitation stance and restructure Nigeria blues.